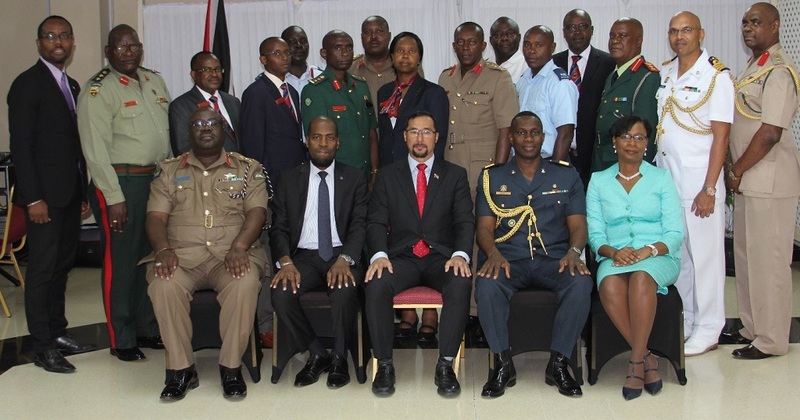 National Security Minister Stuart Young received a courtesy call from a 14 member delegation from the Republic of Kenya’s National Defence College, on Monday. 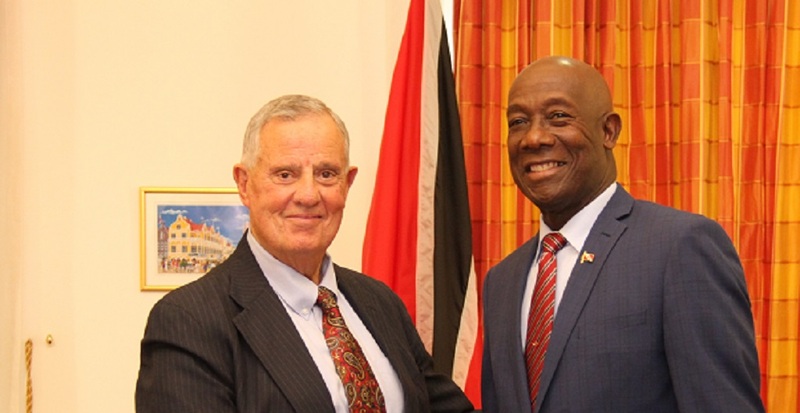 The group held a meeting at the Ministry of National Security’s Head Office on Abercromby Street, Port of Spain. The delegation led by Senior Directing Staff (Army) at the National Defence College Brigadier General Godfrey Peter Aumah Buluma, is in Trinidad and Tobago for a study tour from April 14 to 21. Also included in the delegation are senior military officials and civil servants from Kenya, Botswana, Zimbabwe, Tanzania and Uganda. 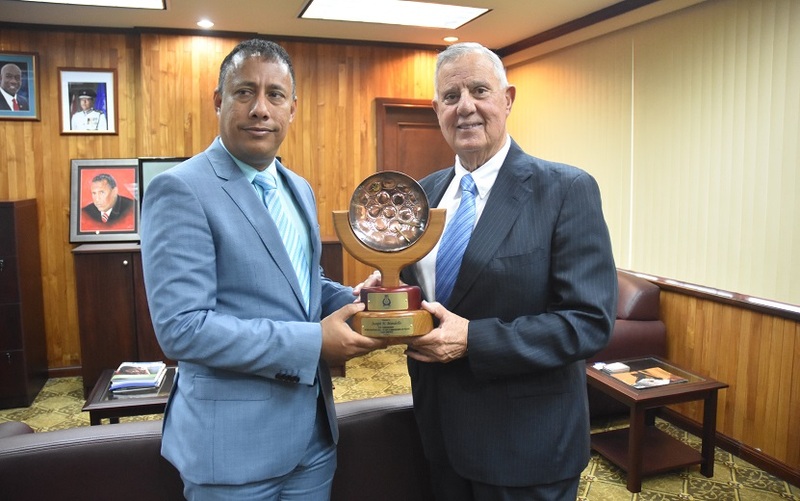 The focus of the study tour is to learn about Trinidad and Tobago’s strategic direction and management of national security and related public policy. Permanent Secretary of the Ministry of National Security Vel Lewis, acting Permanent Secretary Penelope Bradshaw-Niles and Chief of Defence Staff Air Commodore Darryl Daniel were all present. Minister Young welcomed the team from Kenya describing the tour as an opportunity to strengthen ties between the Government and Kenya, through the National Defence College of Kenya. 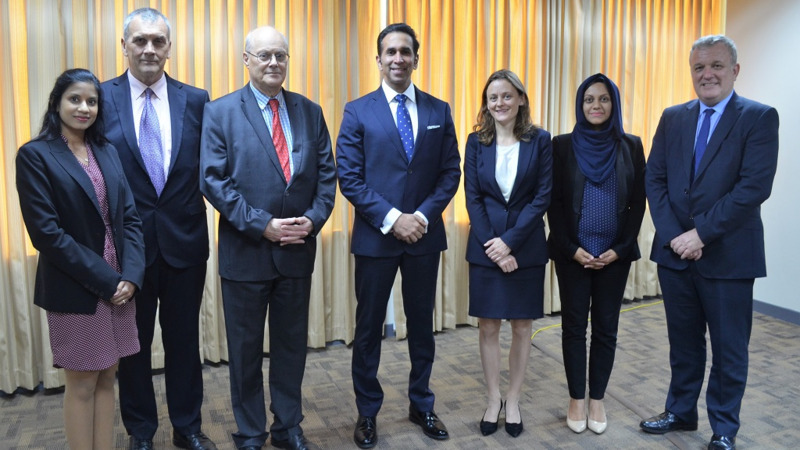 Minister Young further stated that the tour creates a forum for the exchange of knowledge between the visiting team and local law enforcement and defence agencies, as well as the sharing of ideas on mitigating emerging threats to international security. Brigadier General Buluma thanked Minister Young for his warm welcome and indicated that the team looked forward to this exchange and the sharing of expertise. The National Defence College is a Kenyan Defence Force-sponsored Institution charged with the responsibility of developing and improving the intellectual capacity of senior military and government officials on a broad dimension of national security issues, in order to think globally and act nationally.